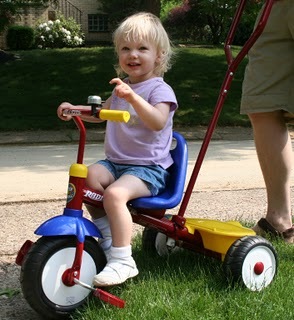 We bought Juliana’s first “bike” this weekend – a Radio Flyer Tricycle. 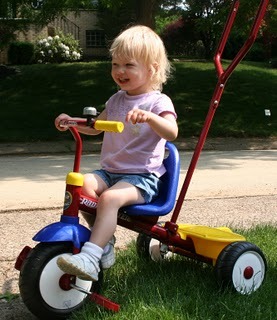 Scott put it together Saturday night and we left it in the basement until after her nap Sunday afternoon. 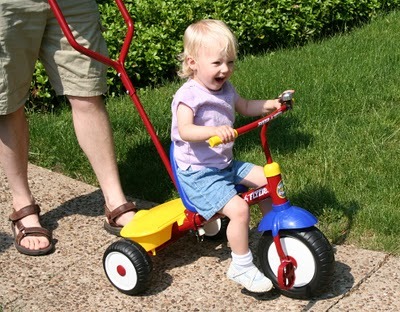 I took her outside and Scott brought the trike outside – she was so excited when she saw it and went running down the sidewalk and climbed up on the seat with a big smile. 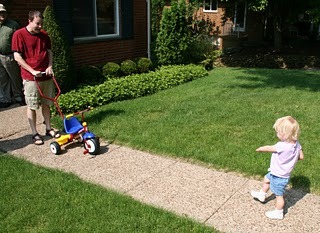 Scott pushed her up and down the street. 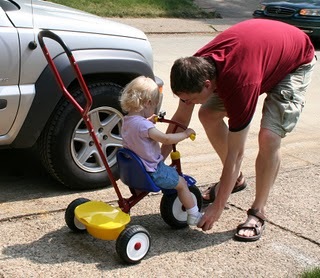 When the steering handle is locked in place, she rides with her feet on the pedals and the pedals don’t turn. She quickly learned how to ring the bell!